, August 2014; my translation. Translation Donna Haraway: The Companion Species Manifesto (2016, Merve). Text work and concept with a wonderful crew. 2. Berlin Book Fair >Queeres Verlegen<, November 26, 2016. Proofreading in English, with Agi Bezeczky. Lana Sirri: Islam, Gender and Sexuality - Insights from the Interdisciplinary Discourse of Contemporary Muslim Feminists (2016). Translation for Missy Magazine (01/2016). Excerpt from Sara Ahmed: The Promise of Happiness; Ann Cvetcovich/ Karin Michalski: "The Alphabet of Feeling Bad". Proofreading Bärbel Mauß: Körperkonstruktionen in der Humangenetik am Beispiel des epigenetischen Ansatzes Genomic Imprinting (that is, constructions of the body in human genetics using the example of genomic imprinting). 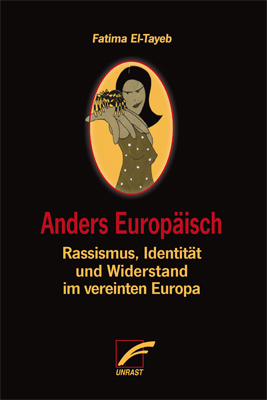 Translation of and with Fatima El-Tayeb: European Others - Queering Ethnicity in Postnational Europe (2015, Unrast). 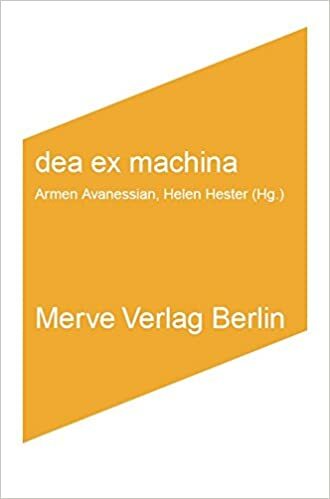 Translation Essays in dea ex machina (2015, Merve): Rosi Braidotti: "Cyberfeminism", Nina Power: "Woman-Machines. On the Future of Female Noise", Donna Haraway: Abstract from "FEMALEMAN©_MEETS_ONCOMOUSE™", Lisa Nakamura: "Racism, Sexism, and Gaming's Cruel Optimism", Laboria Cuboniks: "Xenofeminism - A Politics for Alienation", Alexandra Pirici/ Raluca Voinea: "Manifesto for the Gynecene-Sketch of a New Geological Era". Translation parts of the interactive website reimaginebelonging.de (regularly). Translation Paola Bacchetta/ Fatima El-Tayeb/ Jin Haritaworn: "Queer of Color Formations and Translocal Spaces in Europa" in Azarmandi/ Zablotsky/ Ha (Hg. ): Decolonize The City! (2017, Unrast). Translation Donna Haraway: "Fetus" for Merve Berlin (unpublished). Translation and Interview essay collection of Karen Barad: Verschränkungen. Translation Helga Dorner/ Andrea Pető: "Gender and Holocaust – conceptual and methodological challenges of Teaching with the Visual History Archive" in Bothe/Brüning (Hg. ): Geschlecht und Erinnerung im digitalen Zeitalter. Translation Donna Riley et al. : "Feminisms in Engineering Education: Transformative Possibilities" in Bath et al. (Hg. ): Modelle der Gender Studies Lehre in den Ingenieurwissenschaften. German translation of Todd Sekuler: "Optimism, Happiness and other Cruelties of a Conference on Gender Norms" for linguatransfair. Translations in the fields of arts and journalism: e.g. for NGbK, artist statement Paul Sharits for Fridericianum Kassel; catalogue text for Boscher Theodor; interviews for Make City Festival, internal and public texts for International Centre for Policy Advocacy (ICPA). in support of various political projects: e.g. Hollaback Berlin, With Wings And Roots, Yes We Are, 125 Jahre Berliner Afrikakonferenz, PCglobal at WEED e.V. Translation Karen Barad: „Diffractions – Differences, Contingencies and Entanglements that Matter" in Meißner et al. : Geschlechter Interferenzen. Copyediting Academic theses from Bachelor of Arts to Magister Artium; from Media Studies, Urban and Social Movement Studies to History of Philosophy and Science. Researching Composition of an online-bibliography on immigration to the GDR as part of a project seminar with Dr. Urmila Goel. Researching Composition of bibliography on the gender pay gap in Europe for Dr. Gülay Çağlar, Department of Gender and Globalisation, Humboldt-University Berlin. While German is sadly my only parents' tongue and French my first foreign language, I only learned English properly in a direct school exchange to and from Aotearoa/New Zealand. I emphasized both languages in my final high school degree in Cologne in 2005. I was going to become a translator even then in Cologne but a wonderful detour took me to Berlin and California, with in-depth academic and political education and leading back to translation. My transdisciplinary BA in Area Studies and Gender Studies at Humboldt-Universität zu Berlin focused on transnational feminist politics and were concluded by a thesis on postcoloniality in german translations. These years were informed by a critical engagement with value chains, colonialism and development ideology as well as more personal engagements with racism, capitalism, hetero/sexism and my own positions and (im)possibilities therein. In-depth MA studies of Gender Studies in Berlin and Feminist Studies and History of Consciousness at the University of California in Santa Cruz ensued from 2009-2013. Emphases were feminist theories, intersectional power structures, migration and sexuality studies, science history and feminist science studies, historiography and knowledge politics. My common thread remained: text and translation. As most influential teachers, I would name Gülay Çağlar, Grada Kilomba, Urmila Goel, Kerstin Palm and Hanna Meißner in Berlin as well as Felicity Amaya Schaeffer and Anjali Arondekar in California. I received a more structured overview and more literate insight into feminist movements' histories and academic discursive spaces that both desillusioned me politically and personally but at the same time further convinced me of the power, responsibility and changeablity of knowledges. I wrote a long and passionate thesis on translation as political work, which you can find in an abbreviated draftly transferred english version here. Upon finishing my studies, I worked as a personal assistent for the independent living of a disabled employer, translating alongside the job, before I dared the step into a full-time freelance life in 2014. By now, there are three translated books and several smaller other texts accomplished. I have a lot of projects in mind and at hand and I'm always looking forward to new interesting cooperations and jobs.